In 1934, Frederick Sommer's wife, Frances, was hired by the State of Arizona and sent to University Southern California, for six-months of training in social work. Frederick accompanied his wife to Los Angeles. When she was in school, he spent time in the various libraries affiliated with the City of Los Angeles Public Libraries. 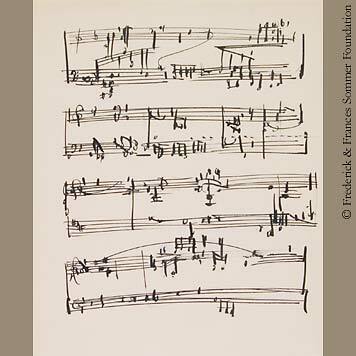 In a library dedicated to music, Sommer encountered original musical scores, drawn by the composers.